Low power, community run radio station on Beaver Island, Michigan. 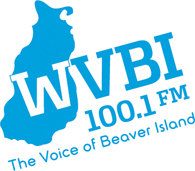 Studios located in the Beaver Island Community Center. A service of The Preservation Association of Beaver Island. Island Reflections is about life on Beaver Island, the most remote inhabited island in the Great Lakes. You never know what might be on the mind of artist and writer Cindy Ricksgers, but you can be sure it will be interesting and down to earth.